Businessman stands trial for money-laundering charges related to public works contracts. Kirchnerite business tycoon Lázaro Báez went on trial Tuesday, facing numerous money-laundering charges related to public works contracts. His 24 co-defendants include all four of his children (Luciana, Melina, Martín and Leandro), the accountant-turned-whistleblower Leonardo Fariña, financier Federico Elaskar and Fabián Rossi for the irregularities made notorious by the money-counting videos at the “La Rosadita” financial agency. Gabriela López Iñíguez, Guillermo Costabel and Adriana Palliotti are the judges of this first trial of Báez, who has been remanded in custody for the last 30 months on the orders of Federal Judge Sebastián Casanello. The trial was requested by prosecutor Guillermo Marijuan with the UIF watchdog against money-laundering and the Anti-Corruption Office (OA) as co-plaintiffs. There are no former Kirchnerite public officials among the two dozen people in the dock (who also include the accountant Daniel Pérez Gadín and the lawyer Jorge Chueco) since their trials either await definition – the case of ex-president Cristina Fernández de Kirchner – or were very recently ordered (former AFIP tax bureau chief Ricardo Echegaray). The charges alone took over two hours to read at the start of the trial, whereupon the defence lawyers immediately appealed against continuation of the trial on the grounds of legal technicalities and claims of judicial bias. The main charge against Baez is organising a moneylaundering circuit at home and abroad for the purpose of channelling illicit funds into the formal economy in the period 2010-2013 but he is also accused of bogus invoicing. Báez, 62, was a simple bank clerk in the Santa Cruz provincial capital of Río Gallegos in 1990 when he first met the Kirchner family at a very early stage in their political career – when Néstor Kirchner was still the town mayor just before three successive gubernatorial terms in the Patagonian province, ultimately reaching the presidency in 2003. For many years he served the Kirchner family in a mainly financial capacity but as from 2005 his fortunes leapfrogged after forming the Austral construction company, which was awarded 82 percent of all Santa Cruz public works contracts in the following decade, turning him into a tycoon. A year after the death of Néstor Kirchner in 2010, Báez funded the construction of a huge mausoleum to house his remains. While there were voices (including anti-corruption crusader Elisa Carrió) denouncing the Kirchner-Báez link from the start, media exposure began to grow in volume after 2008, reaching a crescendo as from 2013. 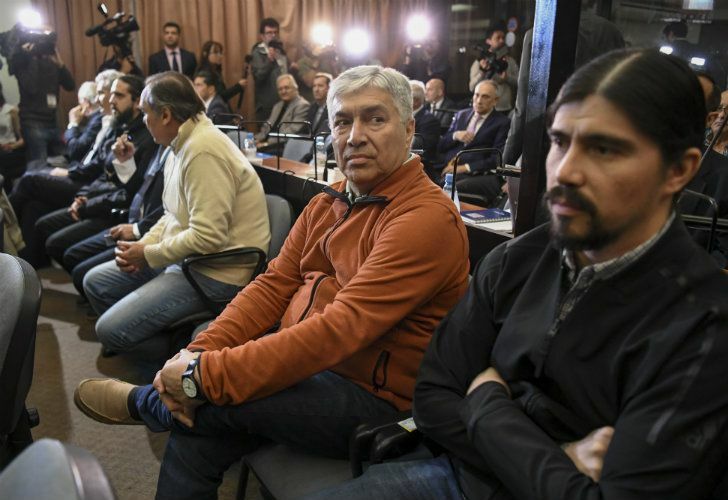 Within four months of Mauricio Macri replacing Cristina Fernández de Kirchner in the presidency, Báez had been detained and his trial began this week.